ROYAL AIR FORCE POLICE OFFICERS PAIR OF SMALL SLIDES. 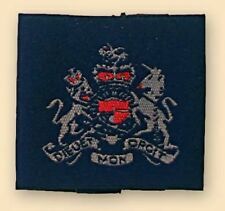 A Pair of Royal Air Force Police Officers Small Shoulder Slides. A Very Good Condition Pair of Royal Air Force Police Officers Small Shoulder Slides. Pair of RAF Officer Marshal of RAF. These RAF Marshal of the RAF rank slides. RAF Officers Rank. Officers Rank Slides RAF. Black On Blue Rank Slides. Royal Air Force. - 100% Genuine! RAF Pair of Flight Suit or Shirt -RAF Uniform Rank Slides For Group Captain Tabs. Pair of RAF Officers Rank Slides. Officers Rank Slides RAF Group Captain. these RAF Officers rank slides are for flying suits - uniform or shirts. Pair of Official Royal Air Force Rank Slides. Official Rank Slides made by an official MoD Manufacturer. made with love by. These RAF Officers rank slides are for Multi Terrain Pattern combat jackets. Officers Rank Slides RAF. RAF Officers Rank. Pair of Flying Officer Muti Terrain Pattern Rank Tabs. 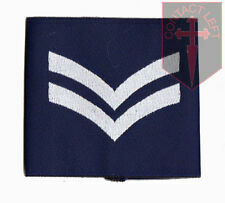 Royal Air Force Corporals Slip On Rank Badges. RAF Pair of Group Captain Rank Slides For Greatcoat 75mm Wide. Pair of RAF Officers Rank Slides. these RAF Officers rank slides are for great coat. Officers Rank Slides RAF Group Captain. We use top quality rank material for these tabs. 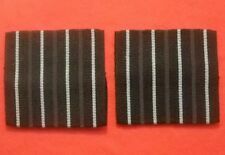 Pair of Flight Suit or Uniform Rank Slides For RAF Officers. RAF Officers Rank. Officers Rank Slides RAF. LIGHT BLUE RAF INFANTRY SHOULDER CORDS. Genuine British Army Issue. Light blue shoulder cords. All parcels require a signature on arrival. The location of this will be advised on a ‘we missed you’ card. Corporal Rank Slide. NEW OFFICIAL Royal Air Force. 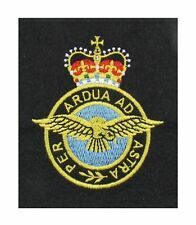 All Royal Air Force Badges and insignia available. Add to Favourites. 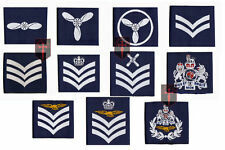 These RAF Officers rank slides are for RAF shirts (light blue colour) ,or a (darker blue) for RAF jackets. Pair of RAF Uniform Rank Slides For RAF Officers. 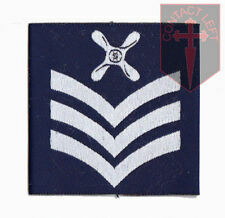 RAF Officers Rank. Officers Rank Slides RAF. Pair of RAF Officers Rank Slides. these RAF Officers rank slides are for flying suits - uniform or shirts. 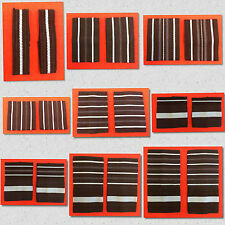 We use top quality rank material for these tabs. Pair of RAF Officer Air Vice Marshall. These RAF Air Vice Marshall rank slides. 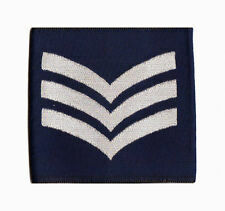 RAF Officers Rank. Officers Rank Slides RAF. Royal Air Force / RAF Senior Air Man Rank Slides / Sliders. 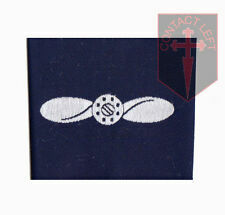 Hello, This listing is for a pair of genuine Royal Air Force Senior Air Man Rank Slides. They are used but in very good condition. I'm offering this with free postage and will accept Paypal only. Feel free to get in touch with any questions you may have. Thank you for taking the time to view this item. 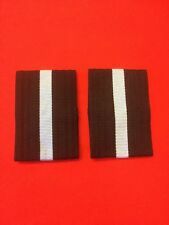 ROYAL AIR FORCE PAIR OF WARRANT OFFICERS SHOULDER RANKING SLIDES (NEW STYLE). A Pair of Royal Air Force Warrant Officers Shoulder Ranking Slides. A Very Good to Unworn Condition Pair of Royal Air Force Warrant Officers Shoulder Ranking Slides. Royal Air Force/RAF Regiment Shirt/Jumper Silver/Blue SAC Rank Badge/Slides New! Silver On Blue SAC Rank Badge Slides. Royal Air Force. Silver On Blue. - 100% Genuine! RAF Pair of Marshall Of The Royal Air Force Rank Slides For Greatcoat 75mm Wide. Pair of RAF Officers Rank Slides. these RAF Officers rank slides are for great coat. Officers Rank Slides RAF. We use top quality rank material for these tabs. 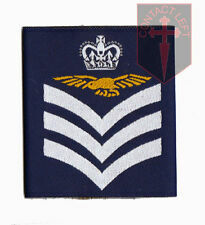 Hello, This listing is for a pair of genuine Royal Air Force Senior Air Man Rank Slides. These are new and sealed in original packaging. I'm offering this with free postage and will accept Paypal only. Feel free to get in touch with any questions you may have. Thank you for taking the time to view this item. RAF Pair of Air Commodore Rank Slides For Greatcoat 75mm Wide. Officers Rank Slides RAF Air commodore. Pair of RAF Officers Rank Slides. these RAF Officers rank slides are for great coat. We use top quality rank material for these tabs.